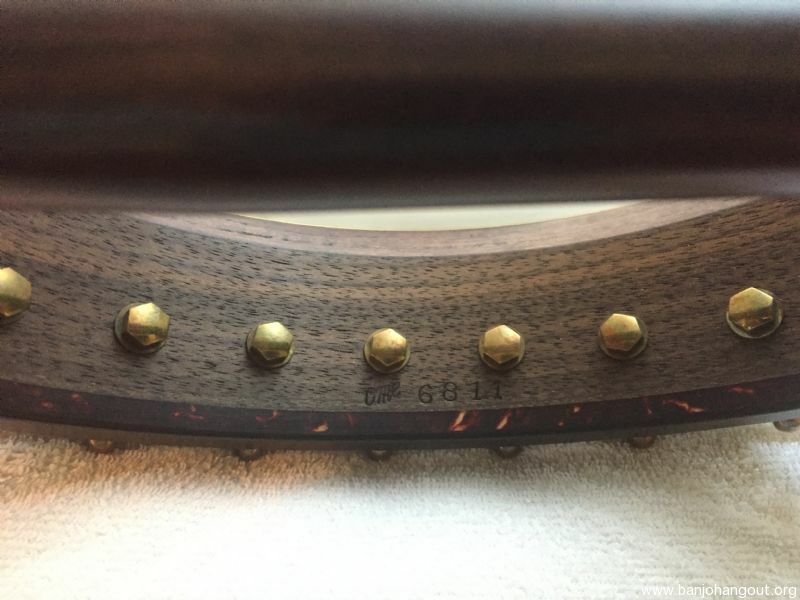 OME Northstar walnut serial # 6811 purchased new 11/11/2017. 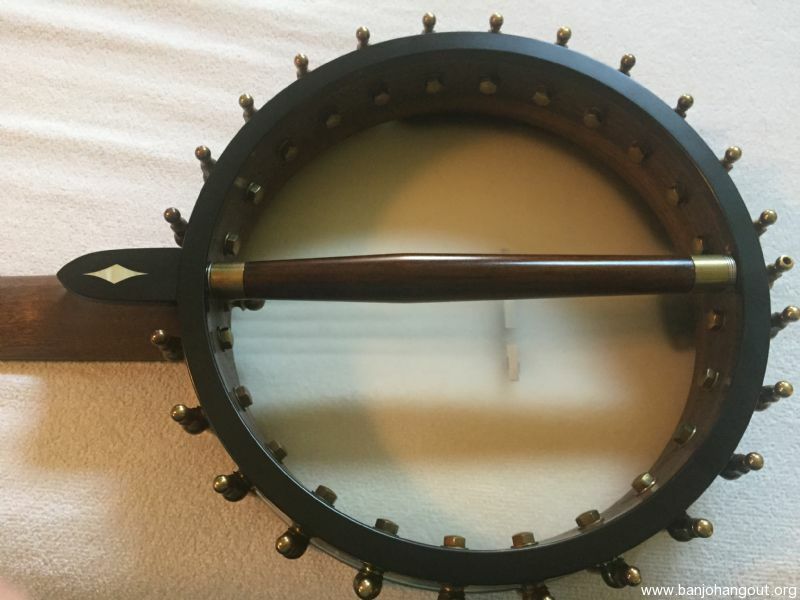 Walnut neck with traditional three ply maple rim with walnut veneers inside and out. 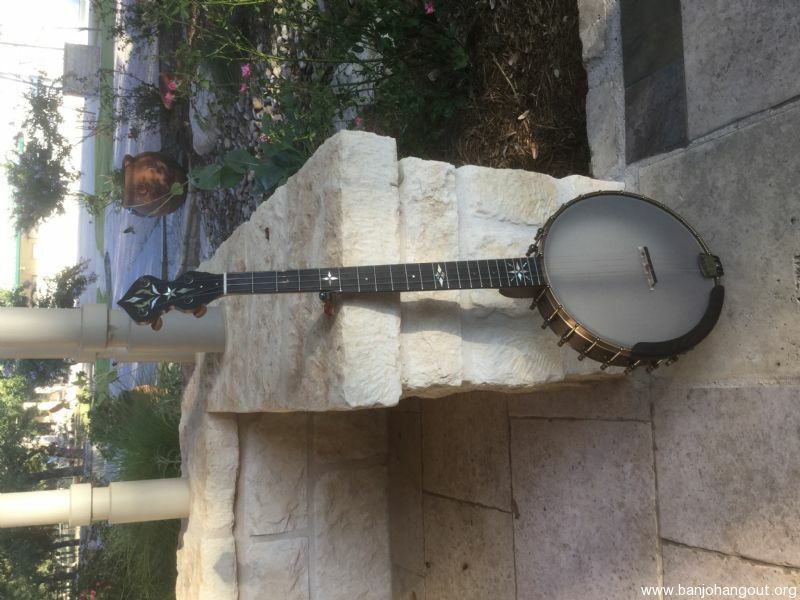 Antiqued brass fittings, beautiful banjo! 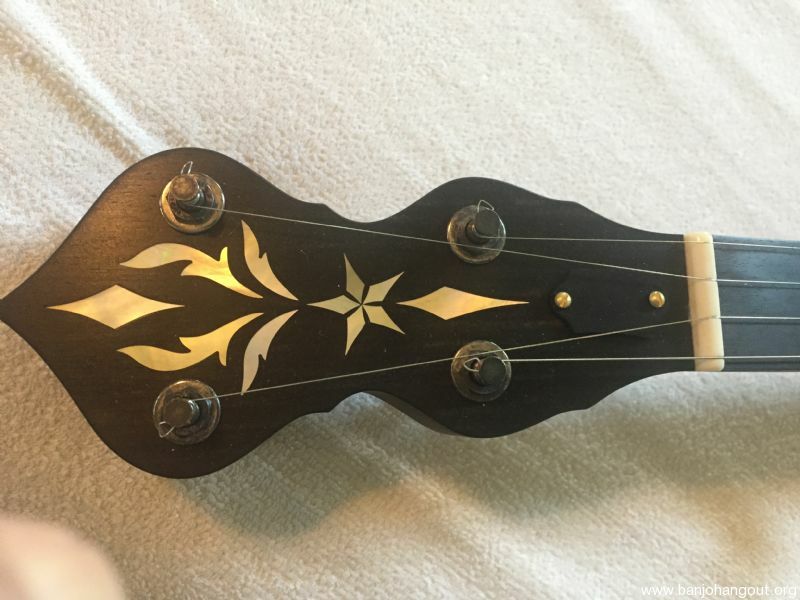 It has not had a hour of playing on it. It is absolutely in perfect new condition as delivered from the manufacturer. 11 inch rim, 25.5 inch scale, 1 3/8 inch at nut, OME vintage tone ring. 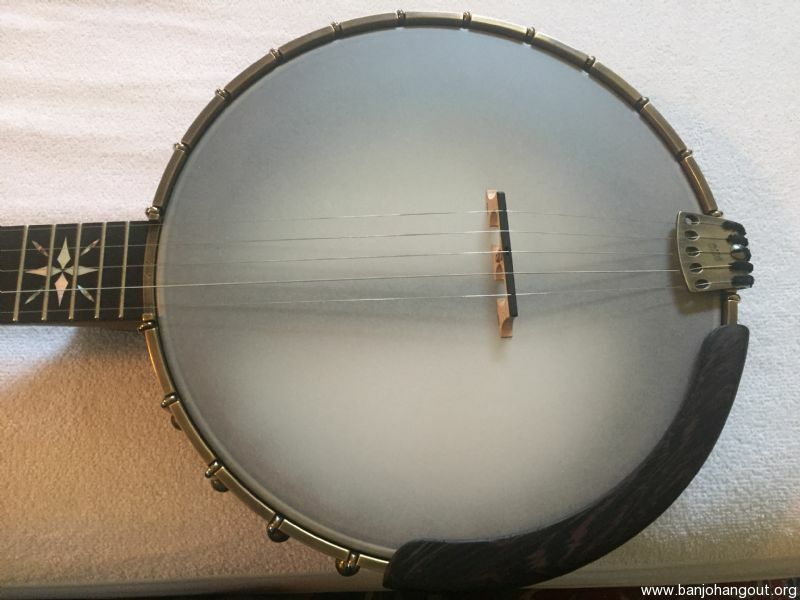 This banjo now is $3070 new since the price increase. It is a six to eight month wait from order to delivery from OME. PayPal preferred, personal check, cashiers check, money order will have to clear the bank prior to shipment.